Developed in the later half of the 20th century, the 9x18 Makarov is a Russian pistol and submachine gun cartridge. 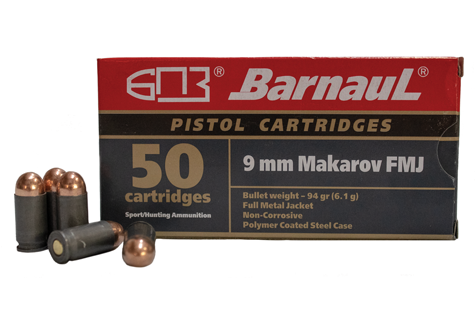 While Makarov PM is the most well-known pistol for this caliber, approximately 30 other pistols and submachine guns support this caliber as well. Note: The 9x18 Makarov is not the same as 9x19 Luger. Do not mix!